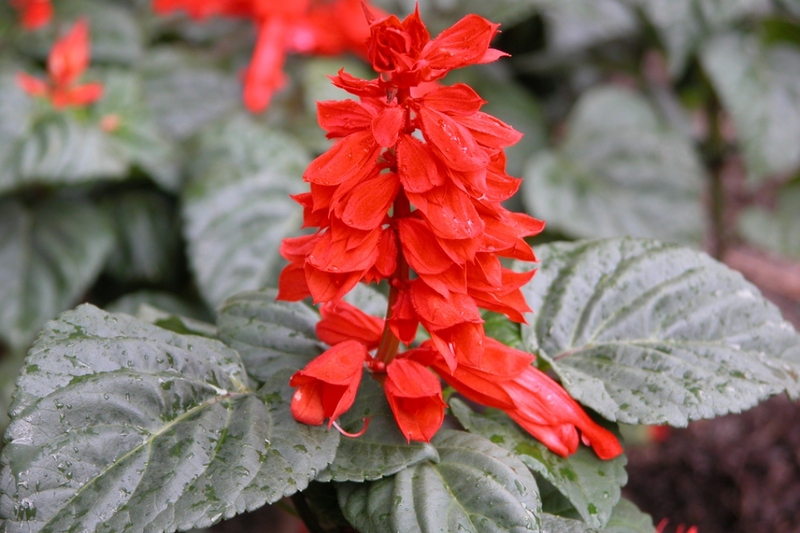 Scarlet sage (Salvia splendens): growing, planting, caring. One of the most popular species in gardens - with many cultivars. 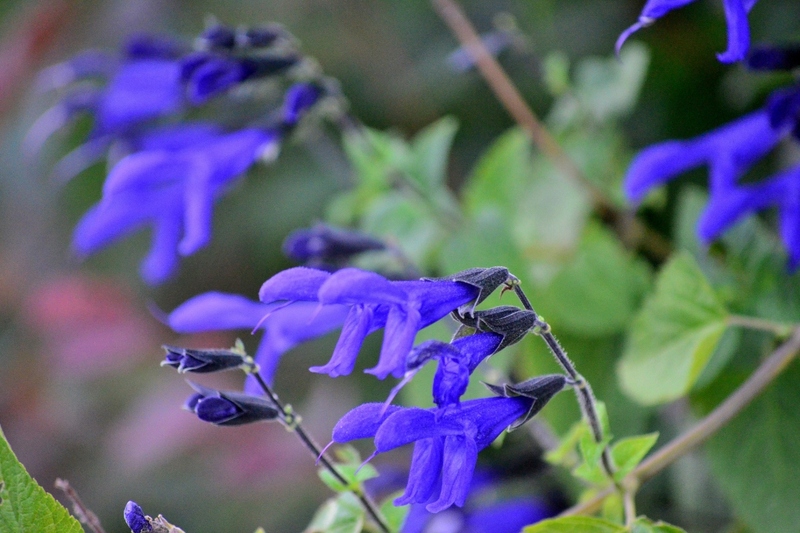 Salvia is a genus in the mint family, Lamiaceae, with nearly 1000 species of shrubs, herbaceous perennials, and annuals. Many species are used as herbs, or as ornamental plants and numerous cultivars have been produced for gardens. The scarlet sage carries stems with four angles, erected, on which hang oval or lanceolate leaves - in the shape of a spearhead! that are toothed. The flower spikes rise above the foliage from late spring to late fall. The tubular flowers of the most common species are scarlet red, but there are many varieties with different colors, white, pink, salmon, purple or lavender, offering a wonderful contrast with the foliage. 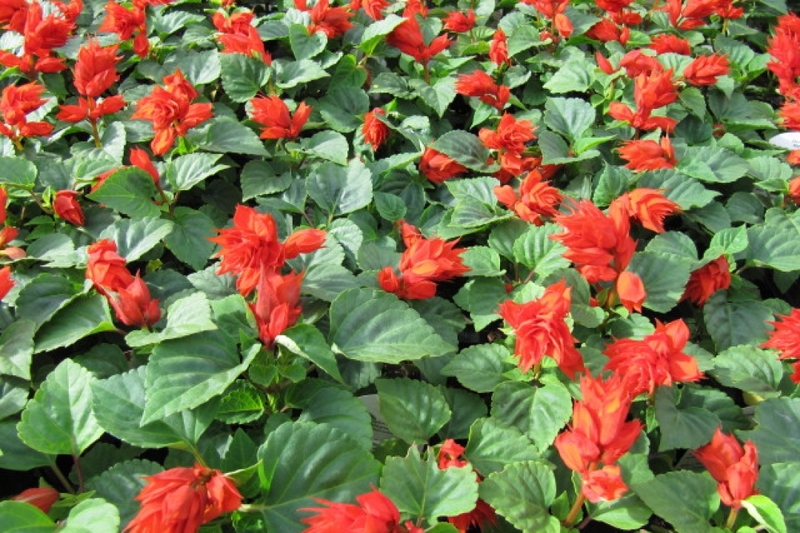 The scarlet sage is cultivated like an annual in temperate areas! It is not very demanding but will develop best in light, draining, humus, fresh, and rich soil, in the sun, or semi-shade for non red varieties. Plant it in May, spacing the feet 15 to 30 centimeters apart. You can also sow it in March, in a box, under cover, at a temperature of 18 ° C approximately, to repot them when the young plants have some leaves in individual cup. Finally, harden them by taking them out before the planting in May. Mulch the base of the sage, it will avoid you some watering and weeding in summer, and - even if they are rather hardy: it will protect the roots of cold in winter. Trim shrubby sage in winter, shortening branches that hinder balance. Bring in your potted sage in the fall, in a greenhouse or a veranda, or any place sheltered from the frost. Take out your potted sage in the spring.